In an attempt to discover an innovative method to garner youthful and blemish-free look without imposing any harsh side-effect, ASAP has introduced Microplus+ microdermabrasion. As the name suggests, this technique provides plus effects that are way beyond simple microdermabrasion. Due to its non-invasive nature and deep nourishing impact on skin, it is gaining immense popularity over other cosmetic and dermatological treatments. 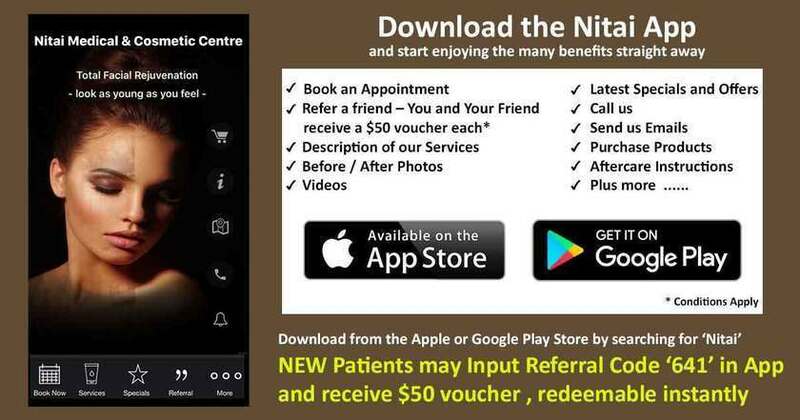 At Nitai Clinic, Melbourne, after the application of the Microplus+ microdermabrasion on our patients, it has disclosed instant remarkable changes in their skin. So, after scrupulous case studies on such skin treatment, we have accumulated all the facts regarding this aesthetic procedure. Just scroll down and get your facts right about this incredible anti-aging as well as anti-acne treatment. 1. What is Microplus+ Microdermabrasion? Microplus+ microdermabrasion infuses the benefits of both microdermabrasion and sonophoresis, to wipe out dirt, dead cells and all other traces of dullness and aging from the skin. This fusion treatment helps in regeneration of the cell growth, unclogs the congested pores, and reduces the appearance of scars and wrinkles. So, in a word, this advanced form of microdermabrasion is the ultimate secret to a radiant, blemish-free and youthful skin. 2. What are microdermabrasion and sonophoresis? Microdermabrasion can be regarded as a cell revival technique as it deeply exfoliates the skin extracting all the dirt particles and dead cells from the skin, thus empowering the cell renewal process and leaving behind a soft, fresh skin. As mentioned on one of our previous blog on Microdermabrasion, this anti-aging treatment relieves our skin of wrinkles and fine lines, acne, scars, sunburns, intermittent complexion, blackheads and whiteheads with the help of a diamond-tipped microdermabrasion wand and a vacuum pump. Sonophoresis, on the other hand, uses ultrasonic rays to improve the blood circulation and smoothen the texture of the skin. The warm and soothing massage provided in sonophoresis tones the skin and penetrates the essential products deep inside the skin to enact a pristine sheen. Sonophoresis tightens, hydrates and rejuvenates skin for a young and glowing look. 3. How does the advanced Microplus+ microdermabrasion differ from the general microdermabrasion? Invented in Australia, the ASAP Microplus+ microdermabrasion has proved itself to be more effective and absolutely non-invasive. Generally, in microdermabrasion, the outer dull skin layer is scraped out to divulge the tender skin inside, which in certain cases if the skin is too sensitive or if the physician is not a very skilled one, then it might result in bruising or subtle pain. But, in case of ASAP Microplus+ microdermabrasion, the skin is not at all abused. After the scrubbing session of microdermabrasion, the sonophoresis pacifies the skin and retains the glow and freshness of the skin. The advantage of this combination treatment is that both the treatments complement each other perfectly. Microdermabrasion clears the skin enabling deep penetration of the products or vital ingredients during sonophoresis, whereas sonophoresis, in turn, helps in calming the skin after the exfoliating sessions of microdermabrasion. ● Instant Reduction in signs of aging like fine lines and wrinkles. ● Highly effective against acne, blackheads, whiteheads and congestion. ● Visibly diminishes the appearance of pigmentations. ● Tightening of open pores. ● Camouflaging the minor scars. ● Eliminates the aged appearance of hands and feet. 4. What are the steps involved in this microdermabrasion with ASAP products? Cleansing: Just like any other beauty regime, this process also includes a thorough cleansing at first. Using a mild ASAP make-up remover and ASAP cleansing lotion, the face is deeply cleaned so that further processes can be employed over it. Nurturing Exfoliation: To boost up the health of the skin, AHA or BHA based exfoliating treatment mask is applied. After a certain amount of time, the mask is removed with the help of a mild cleansing gel. Pre-Microdermabrasion Step: Before performing microdermabrasion, the skin is prepared by a subtle brush of sonophoresis. The gentle eye make-up remover by ASAP is dabbed on the face and then by using proper sonophoresis setting, the whole face is gently brushed. It soothes the skin and makes it ready for microdermabrasion. Time for Microdermabrasion: Now as the skin is all set, microdermabrasion is then initiated in the face with the help of diamond-tipped microdermabrasion wand and vacuum pump. Rejuvenation with Sonophoresis: To tranquil the skin after the exfoliation, a gel-based nurturing serum is applied and the whole face is massaged. Nourishment: After the steps of sonophoresis and microdermabrasion is over, the final step is to enrich the skin with advanced eye repair gel by ASAP and a little soothing gel. Then, the skin is gently massaged with sonophoresis for around two minutes. For further skin defence, SPF 30+ daily defence moisturizer is applied in the face. Also, a hydrating lip balm is dabbed in the lips to take care of your plush lips. And thus, all the steps of Microplus+ microdermabrasion are completed with the help of ASAP products. 5. How much time does this fusion skin treatment require? Depending on the condition of the skin and the area to be treated, this treatment might require anything between 45 mins to 90 mins per session. Based on the skin requirements, the number of sessions may vary, but, generally for the full impact of the treatment, we suggest a minimum of six sessions of Microplus+ microdermabrasion. 7. Is it really worth the price and time invested in it? If the positive response and reviews as well as the spotless, glowing skin of the clients are proof enough, we would say, this treatment is worth every dime and every second you invest in it. This skin resurfacing procedure triggers the stimulation of collagen and elastin in the cell, which garners an immaculate, radiant look. Applying dollops of expensive creams and make-ups might not give you the bright sheen that you actually admire, but a few sessions of this facial treatment definitely might, as it cleans, nourishes and protects the skin from within for a pure and natural gleam. Desire what you truly deserve: Beauty Beyond Compare!